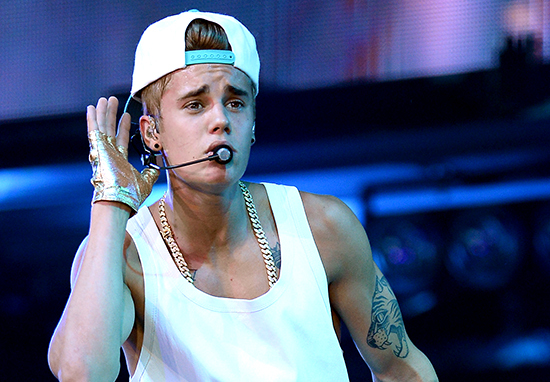 Justin Bieber has allegedly been involved in a brawl at a Coachella after party. 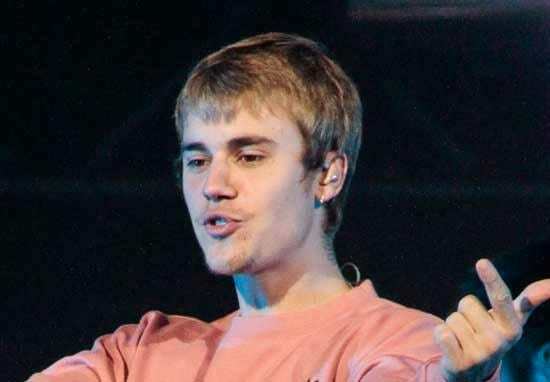 Justin Bieber, 24, reportedly punched a man in the face after the Sorry singer saw the unidentified man grab a woman by the throat and hold her up against a wall, TMZ reports. It is believed the man and women in question had been in a relationship, according to eye-witnesses. The altercation is said to have taken place at at a party hosted by Patrick Schwarzenneger, the elder son of Arnold Schwarzenegger and Maria Shriver, also 24, on the evening of Saturday 14 April. Sources at the party claim the man appeared to be on drugs when he arrived at the gathering, saw the woman and allegedly ‘went ballistic’. Party-goers claim the man suddenly grabbed the woman by the throat and would not release her. It is said by those present who saw the altercation that Bieber and his friend attempted to stop the man verbally. At that point, Bieber allegedly hit the man in the face and pushed him against the wall allowing the woman to break free. After the altercation, sources say they saw the man outside the party and screaming at an SUV he seemed to believe was carrying Bieber. He was screaming Justin’s name as he began hitting the vehicle, sources claim. Police later arrived at the scene later to detain the man. 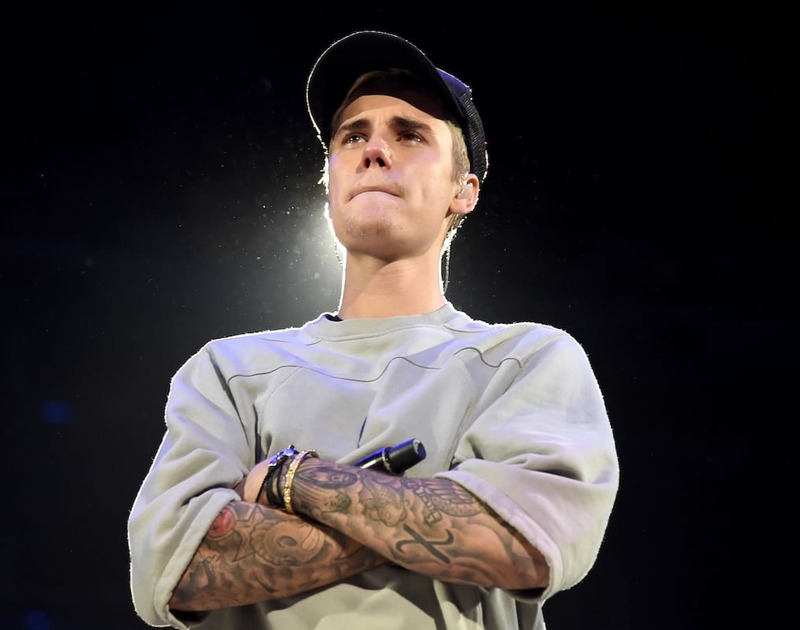 It’s not the first time Bieber has been involved with the law – but this time it sounds like he might be on the right side. 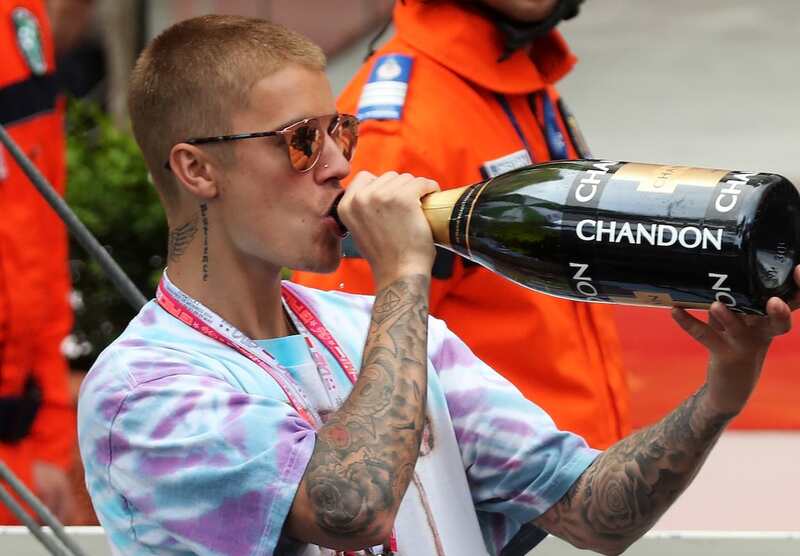 Bieber was charged in Brazil with a ‘crime against the city order and cultural heritage’ when he spray painted the walls of the £23million Hotel Nacional, Rio de Janeiro, which is protected as a cultural heritage site. 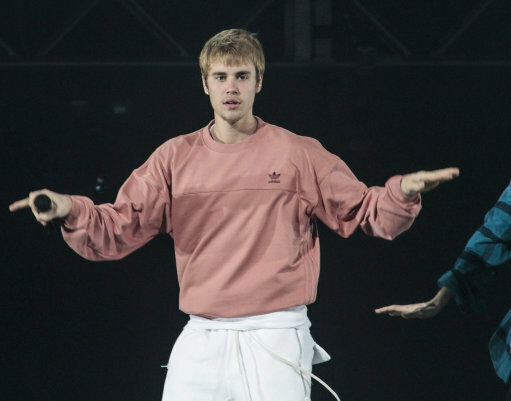 Bieber left the country before the Brazilian authorities could alert him to the charges, and the case was suspended after the Canadian star left the country to continue his Believe tour. Witnesses saw the then 19-year-old Bieber and his entourage tag the wall of the heritage site with phrases such as, ‘Bielibers 4 life’ and ‘respect privacy’. 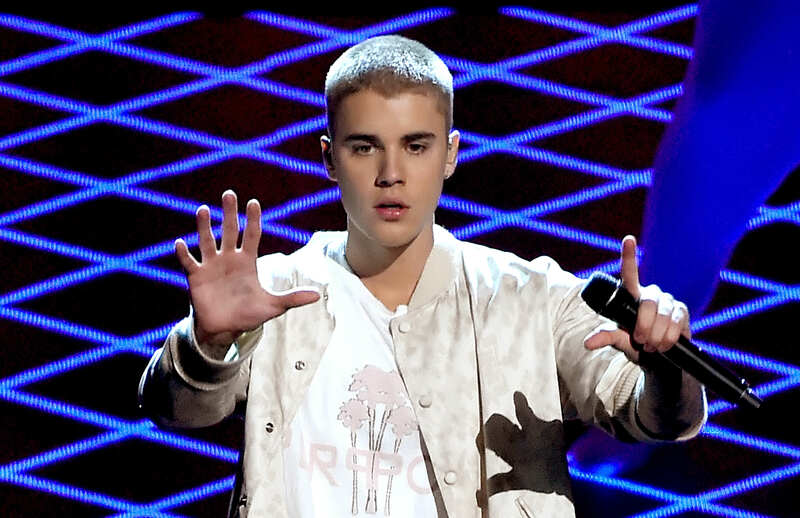 Bieber’s first arrest came with a hefty list of charges in January of 2014, when the then-19-year-old was arrested for driving under the influence, resisting arrest, driving with an expired license, and underage drinking in Miami. He was caught drag racing a rented Lamborghini and was brought in for a mugshot and toxicology testing. According to his toxicology report, he also had marijuana and Xanax in his system. However, it seems times have changed for the singer, who has found religion. He certainly seems to be having a transcendent experience at this year’s Coachella festival. Just hours before the altercation, Justin had been seen dancing on the festival grounds, having the time of his life. He was also seen cheering on 11-year-old Mason Ramsey, the “Walmart Yodel Kid,” as he gave a surprise performance during DJ Whethan’s set at Coachella. The child went viral earlier this month with a video showing him performing Hank Williams’ Lovesick Blues at his local Walmart in Illinois.